We picked out a selection of cooked food and we were rather impressed. First, we went right for the Bushimgae, or better known as Korean pancake. We were lucky enough to get a fresh batch so it was warm and very tasty. They have a huge selection of vegetables, mushrooms and condiments for the BBQ. 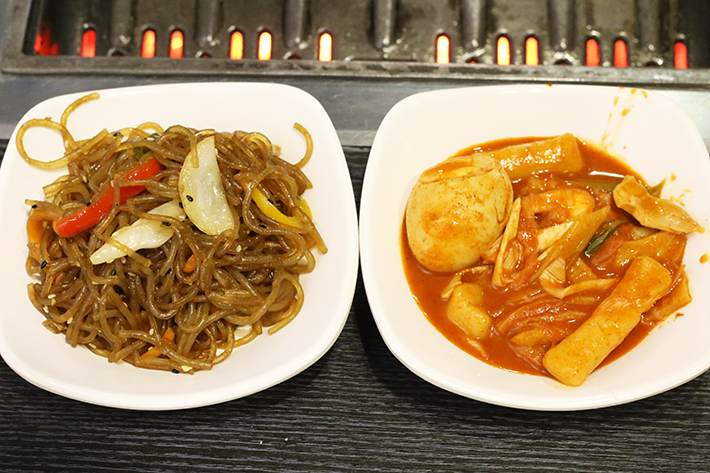 They have specially mixed onions and other condiments such as garlic and more. You can also grab some enoki mushrooms that are great when grilled. Seafood is not available for lunch, but that’s fine. Let’s talk about the meats. We tried everything they had that day, but our hearts went out to the Pork Belly and the Chuck Tender Beef. The former is unpretentious and classic, and have it wrapped in a lettuce leaf with some sauces and you will understand the true joy of Korean BBQ. The latter was as its name suggest – very tender, even when slightly over-grilled. 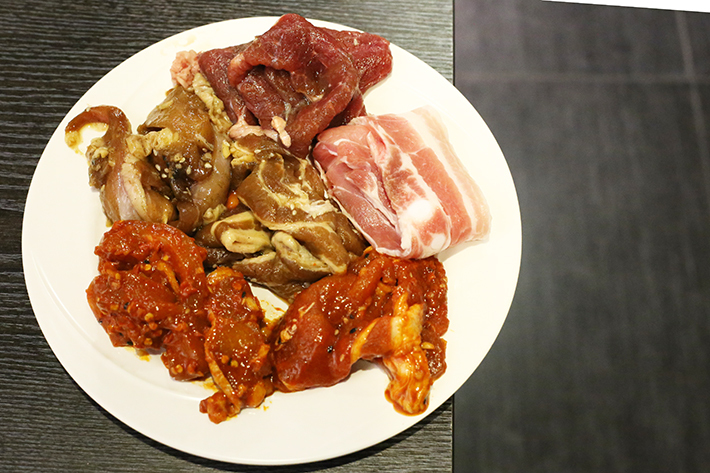 Other meats you can expect here are Marinated Pork Belly, Spicy Pork Collar, Garlic Chicken and signature ‘Volcano’ Chicken. More premium meats are actually available for dinner. The Spicy Beef Soup was satisfying with chunks of beef and vegetables, while the Samgyetang (Ginseng Chicken Soup) was slightly underwhelming. 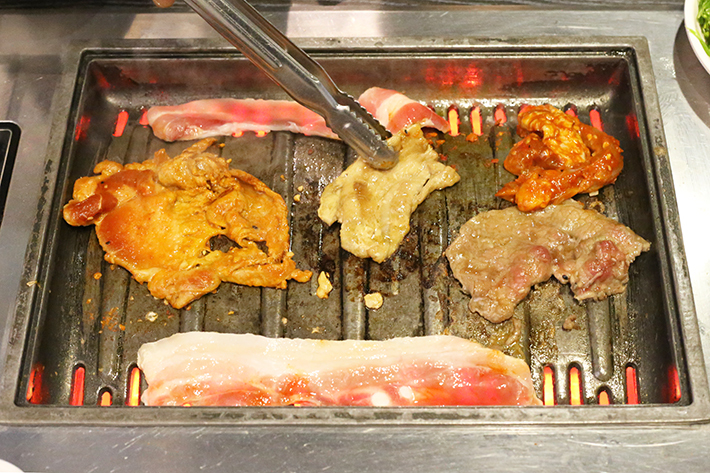 I’m Kim Korean BBQ is certainly wallet-friendly and we can see why it is so popular. They also have special (even lower) prices for students on weekdays. 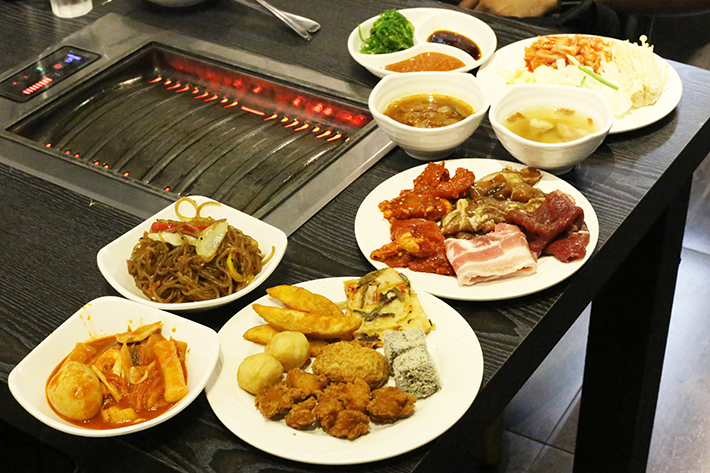 For more recommendations, read our guide to 11 Best Korean BBQ Restaurants in Singapore. Singapore is a great city. But all good things come to an end. 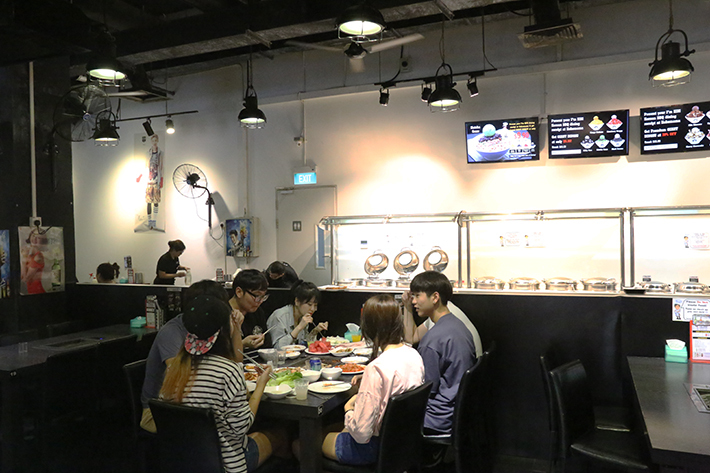 The service and the food at Kim’s is not worth even mentioning. It has been one of our worst culinary experiences ever especially from a service POV barring a lady called angie. Some of the meats were not fresh. I even saw them pouring the left fresh juices back in an airtight drum . I assume it will be used again the next day. Overall not even disappointing but a disgusting experience.